The power of social media! 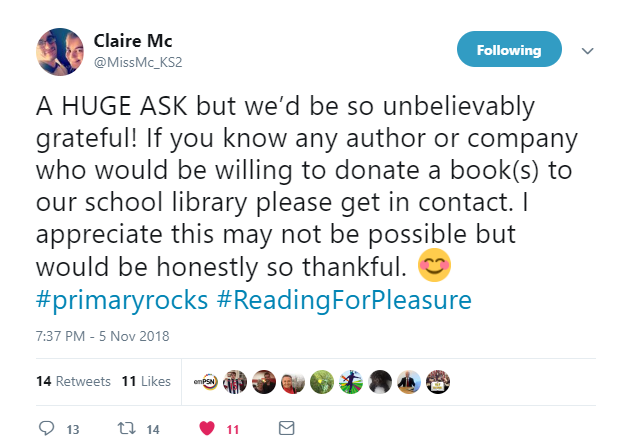 We spotted a plea from Birmingham-based Year 3 teacher, Miss McIntyre, on Twitter earlier this month and decided to help. Our esafety poetry book, which we produced in collaboration with Serious Comedy last year, seemed like a perfect fit for their school library. So we sent 30 copies of our Beneath the Screen book to The Oval School in Birmingham to a delighted teacher. We believe that education about esafety is a crucial part of children’s education to ensure that we have a digitally-savvy generation of young people who know how to remain safe and secure online. Find out more about Beneath the Screen books.